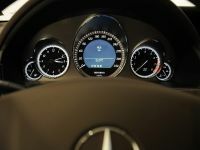 Concurrent with the market launch of the new Mercedes E-Class of the W 212 model series, BRABUS presents an exclusive tuning program for the new sedan. 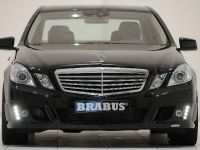 Highlights in the product lineup are the BRABUS 6.1 displacement engine with 462 hp (456 bhp) / 340 kW for the E 500 (E550 in the US), a sporty yet elegant aerodynamic-enhancement program, light-alloy wheels with diameters of up to 20 inches, matching suspension solutions, a high-performance brake system and exclusive interior upgrades. 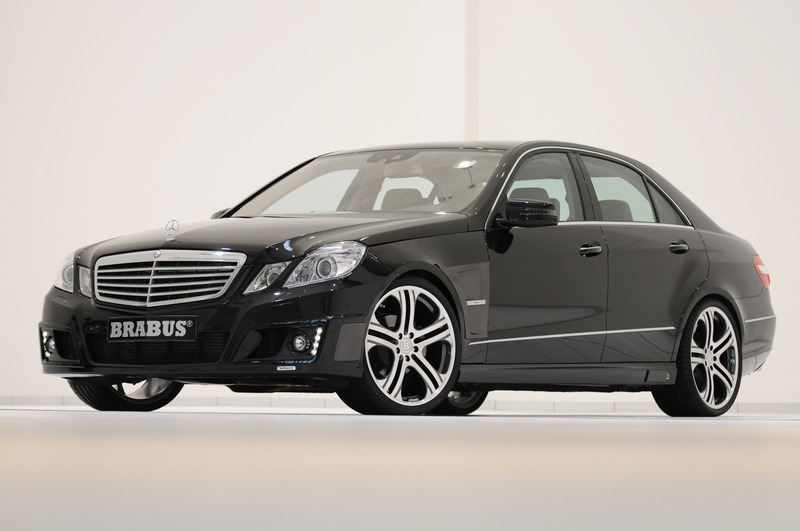 All components are backed by the one-of-a-kind BRABUS Tuning Warranty® of three years, up to 100,000 kilometers / 62,000 miles (see BRABUS warranty conditions as of November 2006). 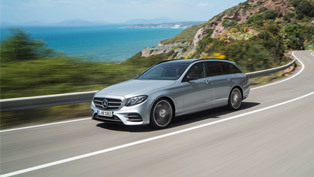 To add sporty emphasis to the striking lines of the new Mercedes E-Class the BRABUS designers have developed an aerodynamic-enhancement kit manufactured from Pur-R-Rim plastics in OEM quality. 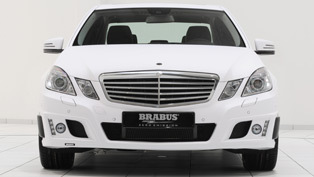 The BRABUS front apron replaces the production bumper in its entirety. 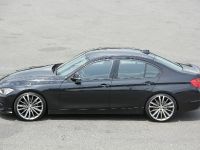 It sophisticated shape reduces lift on the front axle and gives the sedan an even more striking face. 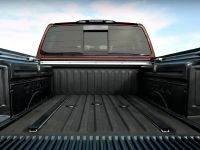 For further improved driving safety the apron features LED daytime running lights and auxiliary headlights, either high beams or fog lamps, depending on customer preference. 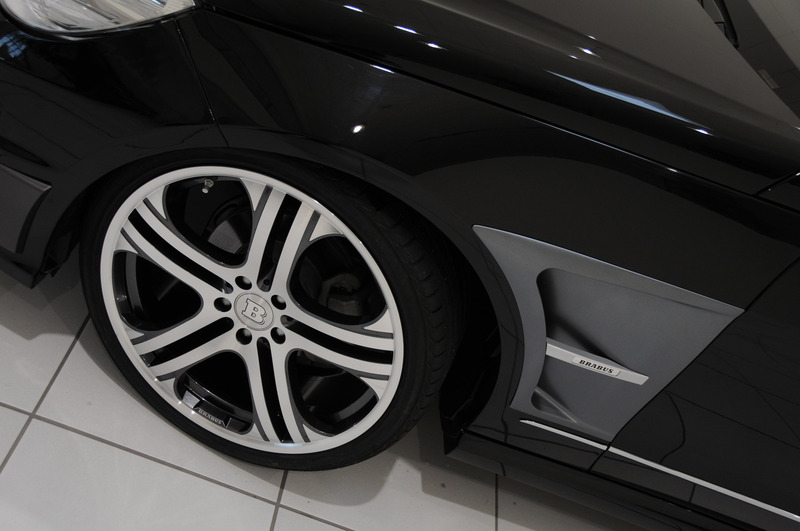 BRABUS aluminum front sport quarter panels improve venting of the wheel houses. 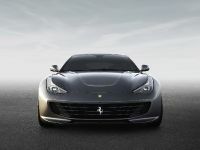 Their integrated lateral clear-coated carbon-fiber air outlets add a decidedly sporty flair. 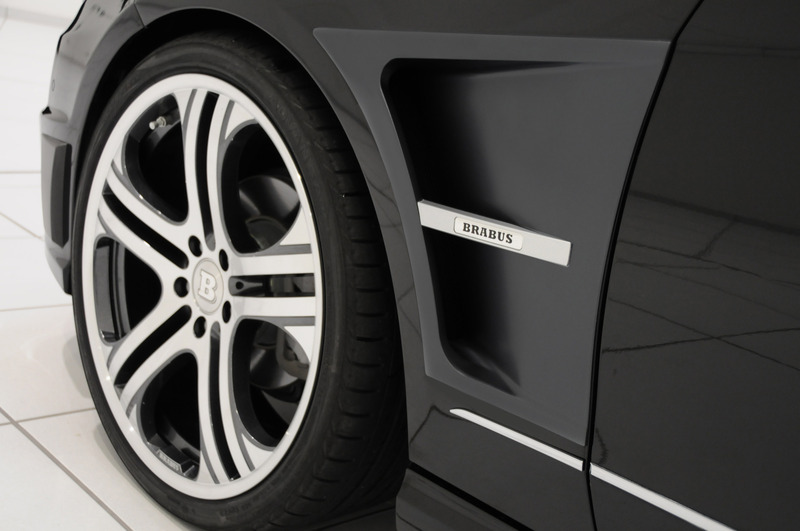 The BRABUS rocker panels calm the airflow between the wheel houses and feature integrated LED entrance lights for added style and utility. 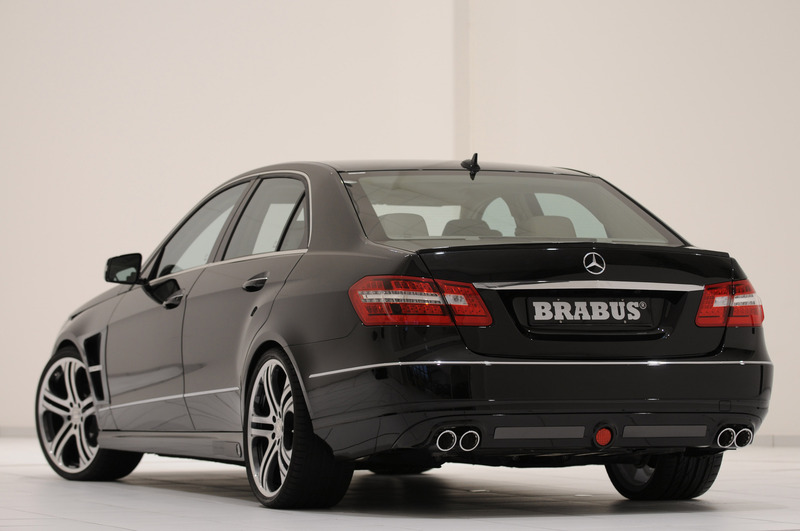 The rear apron with centrally located rear deflector provides the perfect backdrop for the two chrome-plated tailpipes of the BRABUS sport exhaust system on either side. 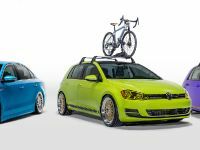 The styling concept is rounded out with a rear spoiler. 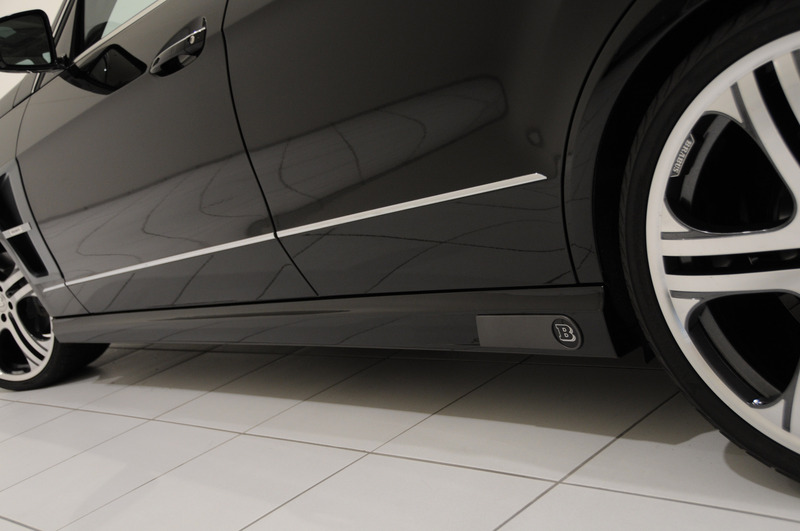 Just as important for the exclusive appearance are the BRABUS Monoblock light-alloy wheels, available in various designs with diameters ranging from 17 to 20 inches. 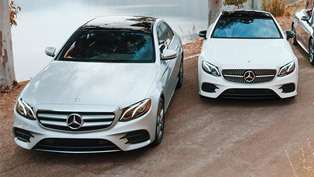 The largest version for the new E-Class features one-piece or multi-piece wheels in size 9Jx20 on the front axle and in size 10.5Jx20 in back. The corresponding high-performance tires come from Pirelli and YOKOHAMA in size 245/30 ZR 20 in front and in size 285/25 ZR 20 on the rear axle. 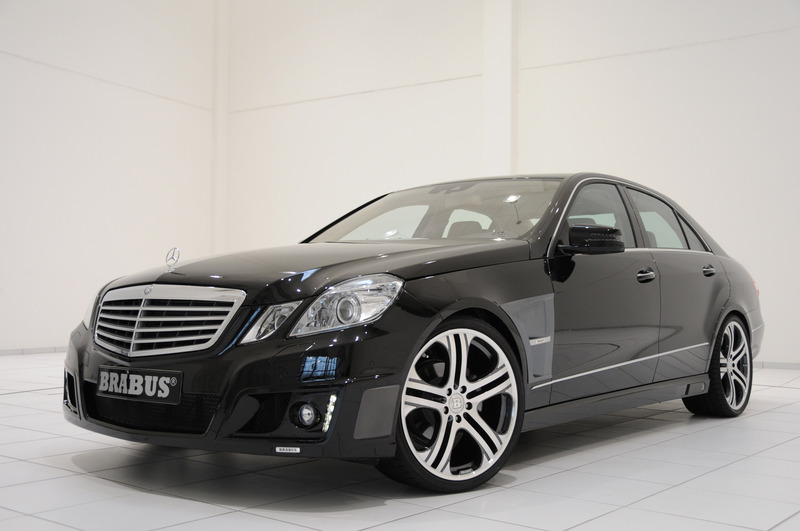 Various BRABUS suspension solutions from a lowering kit to sporty yet comfortable complete suspensions and even a special control unit for the AIRMATIC air suspension were developed to match the conversion to high-performance tires. 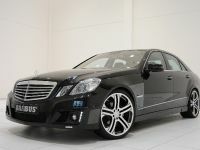 BRABUS also offers a special high-performance brake system for the new E-Class. The system consists of 375 x 36 millimeter (14.8 x 1.4 inches) vented and cross-drilled discs on the front axle with 12-piston aluminum fixed calipers. 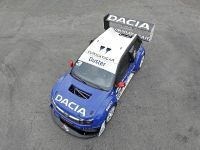 The rear axle stops on 355 x 28 millimeter (14.0 x 1.1 inches) discs and six-piston calipers. 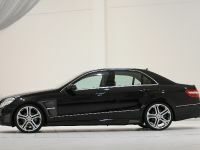 The eight-cylinder model E 500 (US: E550) can be elevated to new performance levels with the BRABUS 6.1 displacement engine. Installing a special crankshaft and larger pistons increases swept volume to 6.1 liters (372 cu. in.). 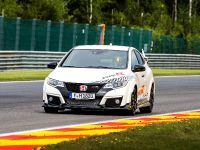 Additionally the cylinder heads are optimized for mixture flow, and fitted with special camshafts. 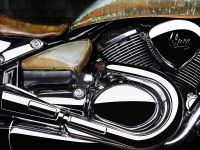 High-efficiency metal catalysts are also part of the engine conversion. 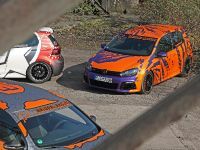 The impressive results of the conversion are a rated power output of 462 hp (456 bhp) / 340 kW at 6,200 rpm and an enormous peak torque of 615 Nm (453 lb-ft) at just 3,100 rpm. In order to transfer this power to the road with as little slip as possible BRABUS offers an anti-slip rear differential with a locking rate of 40 percent. 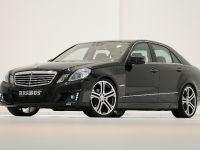 Powered by the BRABUS 6.1 engine the sedan turns in excellent driving performance: The sprint from 0 - 100 km/h (62 mph) takes just 4.7 seconds, top speed is 305 km/h (191 mph). 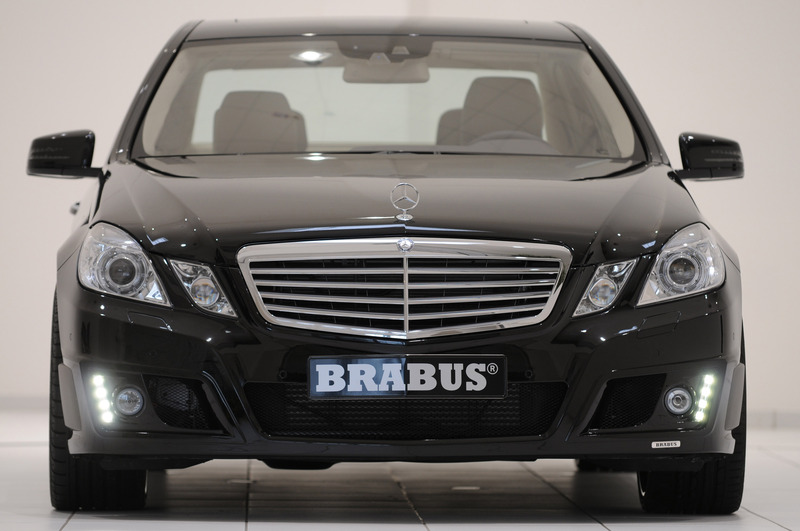 The BRABUS engineers are hard at work developing BRABUS ECO PowerXtra performance kits for the various CDI BlueEFFIENCY turbodiesel models and a BRABUS ECO PowerXtra BLUE tuning kit for the Mercedes E 350 BlueTEC. As the ‘ECO' badge indicates, the main development goal is an optimal symbiosis of added power, improved fuel economy and reduced emissions by way of a notably increased peak torque. 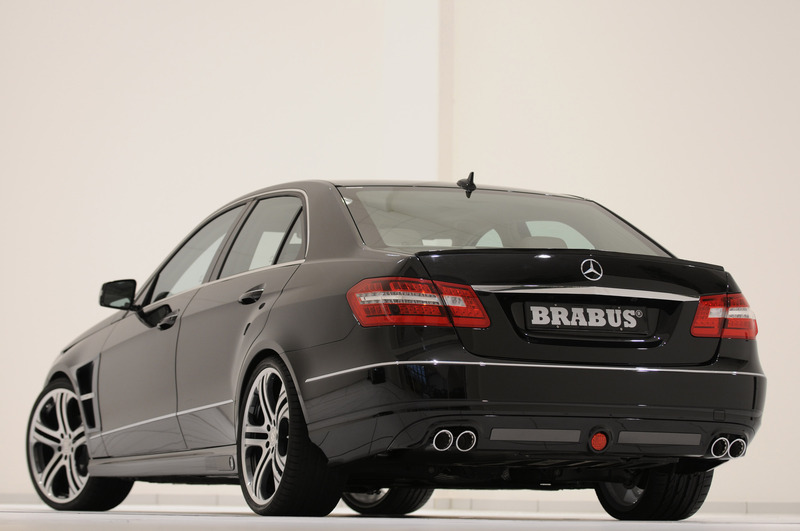 BRABUS stainless-steel sports exhaust systems with four chrome-plated tailpipes are available for all engine variants. 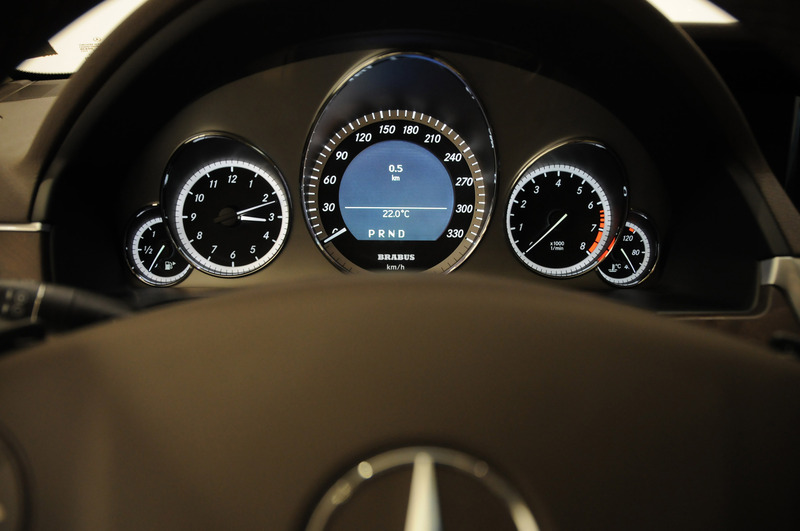 Luxurious and customized interiors are also part of the BRABUS product lineup for the new E-Class. 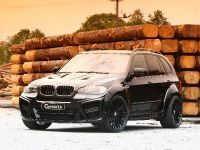 The list of available accessories ranges from stainless-steel scuff plates with illuminated BRABUS logo to ergonomically shaped sport steering wheels to exclusive BRABUS fully leather interiors made from a combination of especially soft yet durable BRABUS Mastik and Alcantara leathers. As a pioneer in the development of multimedia systems on wheels BRABUS offers custom-tailored seatback consoles for the front seats of the new E-Class. 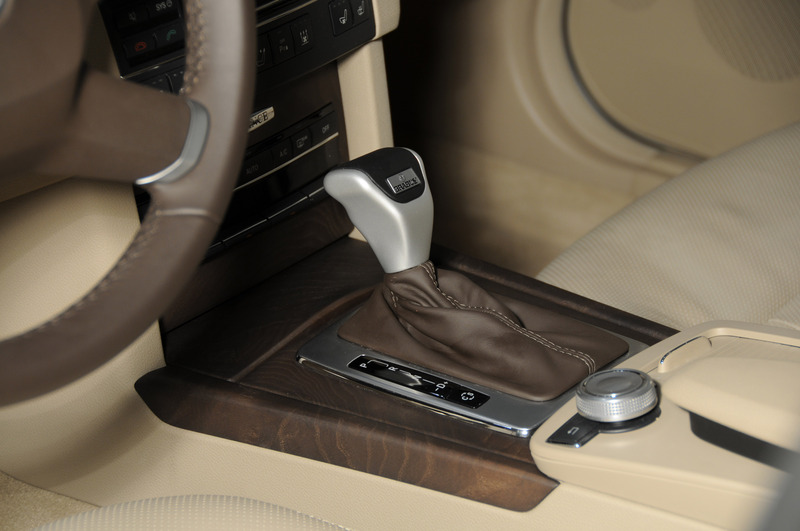 They come with integrated seven-inch LCD displays and DVD player.